Three awards were bagged by Filipino filmmakers and film at the 31st Exground International Film Festival in Wiesbaden, Germany. 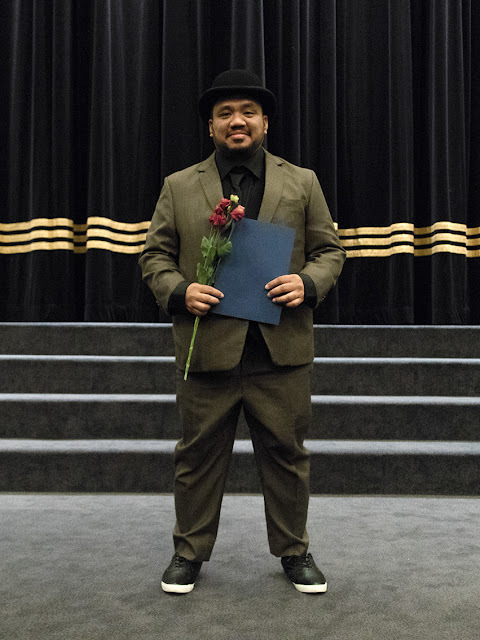 Director Alberto “Treb” Monteras II’s award-winning film “Respeto” won youth jury award for the best feature film at Youth Days, an international youth film competition. In the coming-of-age drama, Hendrix (played by hip-hop artist Abra) aspires of becoming a rapper and leaving behind poverty-stricken Manila. The team received a cash prize of 2,500 euros donated by the State Capital of Wiesbaden. “The Philippine film RESPETO has convinced the youth jury in many ways. It introduces us to the frightening conditions of a country where people can be shot by the police on mere suspicion on the street. The film makes excellent use of the language of cinema at all levels: camera, sound and music, effects and the authentic presentation merge to a unity. In the midst of a scene marked by violence, drugs and corruption, Hendrix pursues his dream of asserting himself as a rapper in Manila's hip-hop scene. Fast-paced, driven by the pulse of music, RESPETO shows the struggle for respect and recognition – and how important it is to have role models. With the power of hip-hop, Hendrix manages to counter the conditions and the lack of perspective with something. A real youth film!,” the jury stated in exground filmfest’s press release. On the other hand, director Jet Leyco’s “Women of Wiesbaden” won the prestigious Golden Gurke award at the exground gong show competition. The group garnered a cash prize of 50 euros sponsored by Wiesbadener Kinofestival e. V.
Meanwhile, E. del Mundo’s “Man of Pa-Aling (Manong ng Pa-Aling)” received a special mention in the International Short Film Competition. The Exground Filmfest in Wiesbaden is one of the most significant film festivals in Germany for international independent productions. It takes the audience on a memorable cinematic journey and allows the viewers to experience and discover different countries and cultures through films. The festival program includes exhibitions, workshops, concerts, parties, and panel discussions. As part of the Philippine cinema’s centennial celebration, Exground Film Festival featured the Philippines as its Country of Focus. This year’s program acknowledges and puts a spotlight to critically acclaimed Filipino films that promote socio-political discourse and reveal a glimpse of the current human rights situation in the country. The Exground Filmfest Festival 31 was held on November 16 to 25, 2018 in Wiesbaden, Germany.